Curiosity is a car-sized rover designed to explore the crater Gale on Mars as part of NASA's Mars Science Laboratory mission (MSL). Curiosity was launched from Cape Canaveral on November 26, 2011, at 15:02 UTC and landed on Aeolis Palus inside Gale on Mars on August 6, 2012, 05:17 UTC. The Bradbury Landing site was less than 2.4 km (1.5 mi) from the center of the rover's touchdown target after a 560 million km (350 million mi) journey. The rover's goals include an investigation of the Martian climate and geology; assessment of whether the selected field site inside Gale has ever offered environmental conditions favorable for microbial life, including investigation of the role of water; and planetary habitability studies in preparation for human exploration. Curiosity's design serves as the basis for the planned Mars 2020 rover, that will carry different scientific instruments. Radioisotope power systems (RPSs) are generators that produce electricity from the decay of radioactive isotopes, such as plutonium-238, which is a non-fissile isotope of plutonium. Heat given off by the decay of this isotope is converted into electric voltage by thermocouples, providing constant power during all seasons and through the day and night. Waste heat is also used via pipes to warm systems, freeing electrical power for the operation of the vehicle and instruments. Curiosity's RTG is fueled by 4.8 kg (11 lb) of plutonium-238 dioxide supplied by the U.S. Department of Energy. Curiosity's RTG is the Multi-Mission Radioisotope Thermoelectric Generator (MMRTG), designed and built by Rocketdyne and Teledyne Energy Systems under contract to the U.S. Department of Energy, and assembled and tested by the Idaho National Laboratory. Based on legacy RTG technology, it represents a more flexible and compact development step, and is designed to produce 110 watts of electrical power and about 2,000 watts of thermal power at the start of the mission. The MMRTG produces less power over time as its plutonium fuel decays: at its minimum lifetime of 14 years, electrical power output is down to 100 watts. The power source generates 9 MJ (2.5 kWh) each day, much more than the solar panels of the now retired Mars Exploration Rovers, which generated about 2.1 MJ (0.58 kWh) each day. The electrical output from the MMRTG charges two rechargeable lithium-ion batteries. This enables the power subsystem to meet peak power demands of rover activities when the demand temporarily exceeds the generator's steady output level. Each battery has a capacity of about 42 ampere-hours. Computers: The two identical on-board rover computers, called Rover Computer Element (RCE) contain radiation hardened memory to tolerate the extreme radiation from space and to safeguard against power-off cycles. The computers run the VxWorks real-time operating system (RTOS). Each computer's memory includes 256 kB of EEPROM, 256 MB of DRAM, and 2 GB of flash memory. For comparison, the Mars Exploration Rovers used 3 MB of EEPROM, 128 MB of DRAM, and 256 MB of flash memory. The RCE computers use the RAD750 CPU, which is a successor to the RAD6000 CPU of the Mars Exploration Rovers. The RAD750 CPU, a radiation-hardened version of the PowerPC 750, can execute up to 400 MIPS, while the RAD6000 CPU is capable of up to only 35 MIPS. Of the two on-board computers, one is configured as backup and will take over in the event of problems with the main computer. On February 28, 2013, NASA was forced to switch to the backup computer due to an issue with the active computer's flash memory, which resulted in the computer continuously rebooting in a loop. The backup computer was turned on in safe mode and subsequently returned to active status on March 4. The same issue happened in late March, resuming full operations on March 25, 2013. The rover has an inertial measurement unit (IMU) that provides 3-axis information on its position, which is used in rover navigation. The rover's computers are constantly self-monitoring to keep the rover operational, such as by regulating the rover's temperature. Activities such as taking pictures, driving, and operating the instruments are performed in a command sequence that is sent from the flight team to the rover. The rover installed its full surface operations software after the landing because its computers did not have sufficient main memory available during flight. The new software essentially replaced the flight software. The rover has four processors. One of them is a SPARC processor that ran the rover's thrusters and descent-stage motors as it descended through the Martian atmosphere. Two others are PowerPC processors: the main processor, which handles nearly all of the rover's ground functions, and that processor's backup. The fourth one, another SPARC processor, commands the rover's movement and is part of its motor controller box. All four processors are single core. Communications: Curiosity is equipped with significant telecommunication redundancy by several means: an X band transmitter and receiver that can communicate directly with Earth, and a UHF Electra-Lite software-defined radio for communicating with Mars orbiters. Communication with orbiters is the main path for data return to Earth, since the orbiters have both more power and larger antennas than the lander, allowing for faster transmission speeds. Telecommunication included a small deep space transponder on the descent stage and a solid-state power amplifier on the rover for X band. The rover also has two UHF radios, the signals of which orbiting relay satellites are capable of relaying back to Earth. Signals between Earth and Mars take an average of 14 minutes, 6 seconds. Curiosity can communicate with Earth directly at speeds up to 32 kbit/s, but the bulk of the data transfer is being relayed through the Mars Reconnaissance Orbiter and Odyssey orbiter. Data transfer speeds between Curiosity and each orbiter may reach 2000 kbit/s and 256 kbit/s, respectively, but each orbiter is able to communicate with Curiosity for only about eight minutes per day (0.56% of the time). Communication from and to Curiosity relies on internationally agreed space data communications protocols as defined by the Consultative Committee for Space Data Systems. JPL is the central data distribution hub where selected data products are provided to remote science operations sites as needed. JPL is also the central hub for the uplink process, though participants are distributed at their respective home institutions. At landing, telemetry was monitored by three orbiters, depending on their dynamic location: the 2001 Mars Odyssey, Mars Reconnaissance Orbiter and ESA's Mars Express satellite. As of February 2019, the MAVEN orbiter is being positioned to serve as a relay orbiter while continuing its science mission. Mobility systems: Curiosity is equipped with six 50 cm (20 in) diameter wheels in a rocker-bogie suspension. The suspension system also served as landing gear for the vehicle, unlike its smaller predecessors. Each wheel has cleats and is independently actuated and geared, providing for climbing in soft sand and scrambling over rocks. Each front and rear wheel can be independently steered, allowing the vehicle to turn in place as well as execute arcing turns. Each wheel has a pattern that helps it maintain traction but also leaves patterned tracks in the sandy surface of Mars. That pattern is used by on-board cameras to estimate the distance traveled. The pattern itself is Morse code for "JPL" (·--- ·--· ·-··). The rover is capable of climbing sand dunes with slopes up to 12.5°. Based on the center of mass, the vehicle can withstand a tilt of at least 50° in any direction without overturning, but automatic sensors limit the rover from exceeding 30° tilts. After six years of use, the wheels are visibly worn with punctures and tears. Curiosity can roll over obstacles approaching 65 cm (26 in) in height, and it has a ground clearance of 60 cm (24 in). Based on variables including power levels, terrain difficulty, slippage and visibility, the maximum terrain-traverse speed is estimated to be 200 m (660 ft) per day by automatic navigation. The rover landed about 10 km (6.2 mi) from the base of Mount Sharp, (officially named Aeolis Mons) and it is expected to traverse a minimum of 19 km (12 mi) during its primary two-year mission. It can travel up to 90 m (300 ft) per hour but average speed is about 30 m (98 ft) per hour. The vehicle is 'driven' by several operators lead by Vandi Verma, currently group leader of Autonomous Systems, Mobility and Robotic Systems at JPL, who also cowrote the PLEXIL language used to operate the rover. The general sample analysis strategy begins with high-resolution cameras to look for features of interest. If a particular surface is of interest, Curiosity can vaporize a small portion of it with an infrared laser and examine the resulting spectra signature to query the rock's elemental composition. If that signature is intriguing, the rover uses its long arm to swing over a microscope and an X-ray spectrometer to take a closer look. If the specimen warrants further analysis, Curiosity can drill into the boulder and deliver a powdered sample to either the SAM or the CheMin analytical laboratories inside the rover. The MastCam, Mars Hand Lens Imager (MAHLI), and Mars Descent Imager (MARDI) cameras were developed by Malin Space Science Systems and they all share common design components, such as on-board electronic imaging processing boxes, 1600×1200 CCDs, and an RGB Bayer pattern filter. The MastCam system provides multiple spectra and true-color imaging with two cameras. The cameras can take true-color images at 1600×1200 pixels and up to 10 frames per second hardware-compressed video at 720p (1280×720). Each camera has eight gigabytes of flash memory, which is capable of storing over 5,500 raw images, and can apply real time lossless data compression. The cameras have an autofocus capability that allows them to focus on objects from 2.1 m (6 ft 11 in) to infinity. In addition to the fixed RGBG Bayer pattern filter, each camera has an eight-position filter wheel. While the Bayer filter reduces visible light throughput, all three colors are mostly transparent at wavelengths longer than 700 nm, and have minimal effect on such infrared observations. ChemCam is a suite of two remote sensing instruments combined as one: a laser-induced breakdown spectroscopy (LIBS) and a Remote Micro Imager (RMI) telescope. The ChemCam instrument suite was developed by the French CESR laboratory and the Los Alamos National Laboratory. The flight model of the mast unit was delivered from the French CNES to Los Alamos National Laboratory. The purpose of the LIBS instrument is to provide elemental compositions of rock and soil, while the RMI gives ChemCam scientists high-resolution images of the sampling areas of the rocks and soil that LIBS targets. The LIBS instrument can target a rock or soil sample up to 7 m (23 ft) away, vaporizing a small amount of it with about 50 to 75 5-nanosecond pulses from a 1067 nm infrared laser and then observes the spectrum of the light emitted by the vaporized rock. ChemCam has the ability to record up to 6,144 different wavelengths of ultraviolet, visible, and infrared light. Detection of the ball of luminous plasma is done in the visible, near-UV and near-infrared ranges, between 240 nm and 800 nm. The first initial laser testing of the ChemCam by Curiosity on Mars was performed on a rock, N165 ("Coronation" rock), near Bradbury Landing on August 19, 2012. The ChemCam team expects to take approximately one dozen compositional measurements of rocks per day. REMS comprises instruments to measure the Mars environment: humidity, pressure, temperatures, wind speeds, and ultraviolet radiation. It is a meteorological package that includes an ultraviolet sensor provided by the Spanish Ministry of Education and Science. The investigative team is led by Javier Gómez-Elvira of the Spanish Astrobiology Center and includes the Finnish Meteorological Institute as a partner. All sensors are located around three elements: two booms attached to the rover's mast, the Ultraviolet Sensor (UVS) assembly located on the rover top deck, and the Instrument Control Unit (ICU) inside the rover body. REMS provides new clues about the Martian general circulation, micro scale weather systems, local hydrological cycle, destructive potential of UV radiation, and subsurface habitability based on ground-atmosphere interaction. MAHLI is a camera on the rover's robotic arm, and acquires microscopic images of rock and soil. MAHLI can take true-color images at 1600×1200 pixels with a resolution as high as 14.5 micrometers per pixel. MAHLI has an 18.3 to 21.3 mm (0.72 to 0.84 in) focal length and a 33.8–38.5° field of view. MAHLI has both white and ultraviolet LED illumination for imaging in darkness or fluorescence imaging. MAHLI also has mechanical focusing in a range from infinite to millimetre distances. This system can make some images with focus stacking processing. MAHLI can store either the raw images or do real time lossless predictive or JPEG compression. The calibration target for MAHLI includes color references, a metric bar graphic, a 1909 VDB Lincoln penny, and a stairstep pattern for depth calibration. The APXS instrument irradiates samples with alpha particles and maps the spectra of X-rays that are re-emitted for determining the elemental composition of samples. Curiosity's APXS was developed by the Canadian Space Agency. MacDonald Dettwiler (MDA), the Canadian aerospace company that built the Canadarm and RADARSAT, were responsible for the engineering design and building of the APXS. The APXS science team includes members from the University of Guelph, the University of New Brunswick, the University of Western Ontario, NASA, the University of California, San Diego and Cornell University. The APXS instrument takes advantage of particle-induced X-ray emission (PIXE) and X-ray fluorescence, previously exploited by the Mars Pathfinder and the two Mars Exploration Rovers. Curiosity's CheMin Spectrometer on Mars (September 11, 2012), with sample inlet seen closed and open. 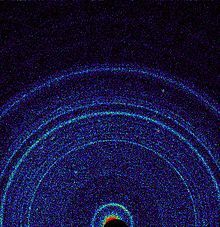 On October 17, 2012, at "Rocknest", the first X-ray diffraction analysis of Martian soil was performed. The results revealed the presence of several minerals, including feldspar, pyroxenes and olivine, and suggested that the Martian soil in the sample was similar to the "weathered basaltic soils" of Hawaiian volcanoes. The paragonetic tephra from a Hawaiian cinder cone has been mined to create Martian regolith simulant for researchers to use since 1998. The SAM instrument suite analyzes organics and gases from both atmospheric and solid samples. It consists of instruments developed by the NASA Goddard Space Flight Center, the Laboratoire Inter-Universitaire des Systèmes Atmosphériques (LISA) (jointly operated by France's CNRS and Parisian universities), and Honeybee Robotics, along with many additional external partners. The three main instruments are a Quadrupole Mass Spectrometer (QMS), a gas chromatograph (GC) and a tunable laser spectrometer (TLS). These instruments perform precision measurements of oxygen and carbon isotope ratios in carbon dioxide (CO2) and methane (CH4) in the atmosphere of Mars in order to distinguish between their geochemical or biological origin. The Dust Removal Tool (DRT) is a motorized, wire-bristle brush on the turret at the end of Curiosity's arm. The DRT was first used on a rock target named Ekwir_1 on January 6, 2013. Honeybee Robotics built the DRT. The role of the RAD instrument is to characterize the broad spectrum of radiation environment found inside the spacecraft during the cruise phase and while on Mars. These measurements have never been done before from the inside of a spacecraft in interplanetary space. Its primary purpose is to determine the viability and shielding needs for potential human explorers, as well as to characterize the radiation environment on the surface of Mars, which it started doing immediately after MSL landed in August 2012. Funded by the Exploration Systems Mission Directorate at NASA Headquarters and Germany's Space Agency (DLR), RAD was developed by Southwest Research Institute (SwRI) and the extraterrestrial physics group at Christian-Albrechts-Universität zu Kiel, Germany. Two of the five devices are in-situ or contact instruments known as the X-ray spectrometer (APXS), and the Mars Hand Lens Imager (MAHLI camera). The remaining three are associated with sample acquisition and sample preparation functions: a percussion drill; a brush; and mechanisms for scooping, sieving, and portioning samples of powdered rock and soil. The diameter of the hole in a rock after drilling is 1.6 cm (0.63 in) and up to 5 cm (2.0 in) deep. The drill carries two spare bits. The rover's arm and turret system can place the APXS and MAHLI on their respective targets, and also obtain powdered sample from rock interiors, and deliver them to the SAM and CheMin analyzers inside the rover. Curiosity has an advanced payload of scientific equipment on Mars. It is the fourth NASA robotic rover sent to Mars since 1996. Previous successful Mars rovers are Sojourner from the Mars Pathfinder mission (1997), and Spirit (2004–2010) and Opportunity (2004–2019) rovers from the Mars Exploration Rover mission. Colin Pillinger, leader of the Beagle 2 project, reacted emotionally to the large number of technicians monitoring Curiosity's descent, because Beagle 2 had only four people monitoring it. The Beagle 2 team made a virtue out of necessity; it was known that there was no chance of obtaining funds in Europe, at that time, of the scale previously considered necessary for a Mars rover, so the team used innovative methods to reduce the cost to less than 4% of the cost of the Curiosity mission. They also had only one shot, with no funding for repeat missions (it was named Beagle 2 as a successor to HMS Beagle, not to an earlier rover). It was considered a large risk, and although Beagle 2 did successfully survive its entry, descent, and landing, incomplete deployment of the solar panels hampered communication back to Earth. The team has proposed that a future launch might take multiple low-cost Beagle-type landers, with a realistic expectation that the vast majority would be successful, allowing exploration of several locations on Mars and possibly asteroids, all for considerably less cost than a single "normal" rover expedition. A NASA panel selected the name Curiosity following a nationwide student contest that attracted more than 9,000 proposals via the Internet and mail. A sixth-grade student from Kansas, twelve-year-old Clara Ma from Sunflower Elementary School in Lenexa, Kansas, submitted the winning entry. As her prize, Ma won a trip to NASA's Jet Propulsion Laboratory (JPL) in Pasadena, California, where she signed her name directly onto the rover as it was being assembled. Curiosity is an everlasting flame that burns in everyone's mind. It makes me get out of bed in the morning and wonder what surprises life will throw at me that day. Curiosity is such a powerful force. Without it, we wouldn't be who we are today. Curiosity is the passion that drives us through our everyday lives. We have become explorers and scientists with our need to ask questions and to wonder. Curiosity landed in Quad 51 (nicknamed Yellowknife) of Aeolis Palus in the crater Gale. The landing site coordinates are: 4°35′22″S 137°26′30″E﻿ / ﻿4.5895°S 137.4417°E﻿ / -4.5895; 137.4417. The location was named Bradbury Landing on August 22, 2012, in honor of science fiction author Ray Bradbury. Gale, an estimated 3.5 to 3.8 billion-year-old impact crater, is hypothesized to have first been gradually filled in by sediments; first water-deposited, and then wind-deposited, possibly until it was completely covered. Wind erosion then scoured out the sediments, leaving an isolated 5.5-kilometer-high (3.4 mi) mountain, Aeolis Mons ("Mount Sharp"), at the center of the 154 km (96 mi) wide crater. Thus, it is believed that the rover may have the opportunity to study two billion years of Martian history in the sediments exposed in the mountain. Additionally, its landing site is near an alluvial fan, which is hypothesized to be the result of a flow of ground water, either before the deposition of the eroded sediments or else in relatively recent geologic history. NASA video describing the landing procedure. NASA dubbed the landing as "Seven Minutes of Terror". Curiosity transformed from its stowed flight configuration to a landing configuration while the MSL spacecraft simultaneously lowered it beneath the spacecraft descent stage with a 20 m (66 ft) tether from the "sky crane" system to a soft landing—wheels down—on the surface of Mars. After the rover touched down it waited 2 seconds to confirm that it was on solid ground then fired several pyrotechnic fasteners activating cable cutters on the bridle to free itself from the spacecraft descent stage. The descent stage then flew away to a crash landing, and the rover prepared itself to begin the science portion of the mission. Celebration erupts at NASA with the rover's successful landing on Mars (August 6, 2012). President Barack Obama congratulates NASA's Curiosity team (August 13, 2012). Live video showing the first footage from the surface of Mars was available at NASA TV, during the late hours of August 6, 2012 PDT, including interviews with the mission team. The NASA website momentarily became unavailable from the overwhelming number of people visiting it, and a 13-minute NASA excerpt of the landings on its YouTube channel was halted an hour after the landing by an automated DMCA takedown notice from Scripps Local News, which prevented access for several hours. Around 1,000 people gathered in New York City's Times Square, to watch NASA's live broadcast of Curiosity's landing, as footage was being shown on the giant screen. Bobak Ferdowsi, Flight Director for the landing, became an Internet meme and attained Twitter celebrity status, with 45,000 new followers subscribing to his Twitter account, due to his Mohawk hairstyle with yellow stars that he wore during the televised broadcast. NASA gave the general public the opportunity from 2009 until 2011 to submit their names to be sent to Mars. More than 1.2 million people from the international community participated, and their names were etched into silicon using an electron-beam machine used for fabricating micro devices at JPL, and this plaque is now installed on the deck of Curiosity. In keeping with a 40-year tradition, a plaque with the signatures of President Barack Obama and Vice President Joe Biden was also installed. Elsewhere on the rover is the autograph of Clara Ma, the 12-year-old girl from Kansas who gave Curiosity its name in an essay contest, writing in part that "curiosity is the passion that drives us through our everyday lives." On August 6, 2013, Curiosity audibly played "Happy Birthday to You" in honor of the one Earth year mark of its Martian landing, the first time for a song to be played on another planet. This was also the first time music was transmitted between two planets. On June 24, 2014, Curiosity completed a Martian year—687 Earth days—after finding that Mars once had environmental conditions favorable for microbial life. Curiosity serves as the basis for the design of the Mars 2020 rover mission that is planned to be launched to Mars in 2020. Some spare parts from the build and ground test of Curiosity are being used in the new vehicle, but it will carry a different instrument payload. The NASA/JPL Mars Science Laboratory/Curiosity Project Team was awarded the 2012 Robert J. Collier Trophy by the National Aeronautic Association "In recognition of the extraordinary achievements of successfully landing Curiosity on Mars, advancing the nation's technological and engineering capabilities, and significantly improving humanity's understanding of ancient Martian habitable environments." Curiosity's parachute flapping in Martian wind (August 12, 2012 to January 13, 2013; MRO). Gale crater - surface materials (false colors; THEMIS; 2001 Mars Odyssey). Curiosity's landing site is on Aeolis Palus near Mount Sharp (north is down). Mount Sharp rises from the middle of Gale; the green dot marks Curiosity's landing site (north is down). Green dot is Curiosity's landing site; upper blue is Glenelg; lower blue is base of Mount Sharp. Curiosity's landing ellipse. Quad 51, called Yellowknife, marks the area where Curiosity actually landed. Quad 51, a 1-mile-by-1-mile section of the crater Gale - Curiosity landing site is noted. MSL debris field - parachute landed 615 m from Curiosity (3-D: rover & parachute) (August 17, 2012; MRO). First-year and first-mile map of Curiosity's traverse on Mars (August 1, 2013) (3-D). Ejected heat shield as viewed by Curiosity descending to Martian surface (August 6, 2012). Curiosity's first image after landing (August 6, 2012). The rover's wheel can be seen. Curiosity's self-portrait - with closed dust cover (September 7, 2012). Curiosity's self-portrait (September 7, 2012; color-corrected). Curiosity's view of the Rocknest area. South is at center, north is at both ends. Mount Sharp dominates the horizon, while Glenelg is left-of-center and rover tracks are right-of-center (November 16, 2012; white balanced; raw color version; high-res panoramic). ^ Wall, Mike (August 6, 2012). "Touchdown! Huge NASA Rover Lands on Mars". Space.com. Retrieved December 14, 2012. ^ "Rover Fast Facts". NASA. ^ a b Nelson, Jon. "Mars Science Laboratory Curiosity Rover". NASA. Retrieved February 2, 2014. ^ "Curiosity: NASA's Next Mars Rover". NASA. August 6, 2012. Retrieved August 6, 2012. ^ Beutel, Allard (November 19, 2011). "NASA's Mars Science Laboratory Launch Rescheduled for Nov. 26". NASA. Retrieved November 21, 2011. ^ Martin, Paul K. (June 8, 2011). "NASA'S MANAGEMENT OF THE MARS SCIENCE LABORATORY PROJECT (IG-11-019)" (PDF). NASA Office of Inspector General. Retrieved August 6, 2012. ^ a b Abilleira, Fernando (2013). 2011 Mars Science Laboratory Trajectory Reconstruction and Performance from Launch Through Landing. 23rd AAS/AIAA Spaceflight Mechanics Meeting. February 10–14, 2013. Kauai, Hawaii. ^ a b Amos, Jonathan (August 8, 2012). "Nasa's Curiosity rover lifts its navigation cameras". BBC News. Retrieved June 23, 2014. ^ a b c d Brown, Dwayne; Cole, Steve; Webster, Guy; Agle, D.C. (August 22, 2012). "NASA Mars Rover Begins Driving at Bradbury Landing". NASA. Retrieved August 22, 2012. ^ a b "Video from rover looks down on Mars during landing". MSNBC. August 6, 2012. Retrieved October 7, 2012. ^ a b Young, Monica (August 7, 2012). "Watch Curiosity Descend onto Mars". SkyandTelescope.com. Retrieved October 7, 2012. ^ Mahaffy, Paul R.; Webster, Christopher R.; Cabane, Michel; Conrad, Pamela G.; Coll, Patrice; Atreya, Sushil K.; Arvey, Robert; Barciniak, Michael; Benna, Mehdi; Bleacher, Lora; Brinckerhoff, William B.; Eigenbrode, Jennifer L.; Carignan, Daniel; Cascia, Mark; Chalmers, Robert A.; Dworkin, Jason P.; Errigo, Therese; Everson, Paula; Franz, Heather; Farley, Rodger; Feng, Steven; Frazier, Gregory; Freissinet, Caroline; Glavin, Daniel P.; Harpold, Daniel N.; Hawk, Douglas; Holmes, Vincent; Johnson, Christopher S.; Jones, Andrea; et al. (2012). "Where is Curiosity?". Space Science Reviews. 170 (1–4): 401. Retrieved October 4, 2018. ^ "MSL Sol 3 Update". NASA Television. August 8, 2012. Retrieved August 9, 2012. ^ a b "Impressive' Curiosity landing only 1.5 miles off, NASA says". CNN. Retrieved August 10, 2012. ^ a b "Overview". JPL, NASA. Retrieved August 16, 2012. ^ a b c "Mars Science Laboratory: Mission Science Goals". NASA.gov. August 2012. Retrieved August 21, 2012. ^ "Curiosity's mission extended indefinitely". 3 News NZ. December 6, 2012. Archived from the original on April 6, 2013. Retrieved December 5, 2012. ^ a b Webster, Guy; Cantillo, Laurie; Brown, Dwayne (August 2, 2017). "Five Years Ago and 154 Million Miles Away: Touchdown!". NASA. Retrieved August 8, 2017. ^ a b Wall, Mike (August 5, 2017). "After 5 Years on Mars, NASA's Curiosity Rover Is Still Making Big Discoveries". Space.com. Retrieved August 8, 2017. ^ Phillips, Tony (February 24, 2012). "Curiosity, The Stunt Double". NASA.gov. Retrieved January 26, 2014. ^ Grotzinger, John P. (January 24, 2014). "Habitability, Taphonomy, and the Search for Organic Carbon on Mars". Science. 343 (6169): 386–387. Bibcode:2014Sci...343..386G. doi:10.1126/science.1249944. PMID 24458635. ^ a b Watson, Traci (April 14, 2008). "Troubles parallel ambitions in NASA Mars project". USA Today. Retrieved May 27, 2009. ^ a b "MSL at a glance - CNES". Cnes.fr. Retrieved August 7, 2012. ^ a b c "Multi-Mission Radioisotope Thermoelectric Generator (MMRTG)" (PDF). NASA/JPL. October 2013. Archived from the original (PDF) on February 26, 2015. Retrieved December 26, 2017. ^ a b c "Mars Exploration: Radioisotope Power and Heating for Mars Surface Exploration" (PDF). NASA/JPL. April 18, 2006. Retrieved September 7, 2009. ^ Clark, Stephen (November 17, 2011). "Nuclear power generator hooked up to Mars rover". Spaceflight Now. Retrieved November 11, 2013. ^ Cataldo, Robert L.; Bennett, Gary L. (October 21, 2011). "U.S. Space Radioisotope Power Systems and Applications: Past, Present and Future" (PDF). In Singh, Nirmal. Radioisotopes: Applications in Physical Sciences. InTech. doi:10.5772/23914. ISBN 978-953-307-510-5. ^ Campbell, Joseph (2011). "Fueling the Mars Science Laboratory" (PDF). Idaho National Laboratory. Archived from the original (PDF) on March 4, 2016. Retrieved February 28, 2016. ^ "Mars Science Laboratory – Technologies of Broad Benefit: Power". NASA/JPL. Retrieved April 23, 2011. ^ Misra, Ajay K. (June 26, 2006). "Overview of NASA Program on Development of Radioisotope Power Systems with High Specific Power" (PDF). NASA/JPL. Retrieved May 12, 2009. ^ a b c d e f g Makovsky, Andre; Ilott, Peter; Taylor, Jim (November 2009). Mars Science Laboratory Telecommunications System Design (PDF). DESCANSO Design and Performance Summary Series. 14. NASA/Jet Propulsion Laboratory. ^ a b Watanabe, Susan (August 9, 2009). "Keeping it Cool (...or Warm!)". NASA/JPL. Archived from the original on December 24, 2010. Retrieved January 19, 2011. ^ a b c d e "Mars Science Laboratory: Mission: Rover: Brains". NASA/JPL. Retrieved March 27, 2009. ^ Bajracharya, Max; Maimone, Mark W.; Helmick, Daniel (December 2008). "Autonomy for Mars rovers: past, present, and future". Computer. 41 (12): 45. doi:10.1109/MC.2008.515. ISSN 0018-9162. ^ "BAE Systems Computers to Manage Data Processing and Command For Upcoming Satellite Missions" (Press release). BAE Systems. June 17, 2008. Archived from the original on September 6, 2008. Retrieved November 17, 2008. ^ "E&ISNow — Media gets closer look at Manassas" (PDF). BAE Systems. August 1, 2008. Archived from the original (PDF) on December 17, 2008. Retrieved November 17, 2008. ^ "RAD750 radiation-hardened PowerPC microprocessor" (PDF). BAE Systems. July 1, 2008. Retrieved September 7, 2009. ^ "RAD6000 Space Computers" (PDF). BAE Systems. June 23, 2008. Archived from the original (PDF) on October 4, 2009. Retrieved September 7, 2009. ^ Webster, Guy (March 4, 2013). "Curiosity Rover's Recovery on Track". NASA. Retrieved March 5, 2013. ^ Webster, Guy (March 25, 2013). "Curiosity Resumes Science Investigations". NASA. Retrieved March 27, 2013. ^ Gaudin, Sharon (August 8, 2012). "NASA: Your smartphone is as smart as the Curiosity rover". Computerworld. Retrieved June 17, 2018. ^ "Mars-Earth distance in light minutes". WolframAlpha. Retrieved August 6, 2012. ^ "Curiosity's data communication with Earth". NASA. Retrieved August 7, 2012. ^ "NASA's Curiosity Rover Maximizes Data Sent to Earth by Using International Space Data Communication Standards". ^ "ESA spacecraft records crucial NASA signals from Mars". Mars Daily. August 7, 2012. Retrieved August 8, 2012. ^ "Next Mars Rover Sports a Set of New Wheels". NASA/JPL. ^ "Watch NASA's Next Mars Rover Being Built Via Live 'Curiosity Cam'". NASA. September 13, 2011. Retrieved August 16, 2012. ^ "New Mars Rover to Feature Morse Code". National Association for Amateur Radio. ^ Marlow, Jeffrey (August 29, 2012). "Looking Toward the Open Road". JPL - Martian Diaries. NASA. Retrieved August 30, 2012. ^ Lakdawalla, Emily (August 19, 2014). "Curiosity wheel damage: The problem and solutions". The Planetary Society Blogs. The Planetary Society. Retrieved August 22, 2014. ^ a b c "Mars Science Laboratory - Facts" (PDF). Jet Propulsion Laboratory, NASA. March 2012. Retrieved July 31, 2012. ^ Gorman, Steve (August 8, 2011). "Curiosity beams Mars images back". Stuff - Science. Retrieved August 8, 2012. ^ a b "Mars Science Laboratory". NASA. Archived from the original on July 30, 2009. Retrieved August 6, 2012. ^ "Vandi Verma". ResearchGate. Retrieved 7 February 2019. ^ "Dr. Vandi Verma Group Supervisor". Jet Propulsion Laboratory. CIT. Retrieved 8 February 2019. ^ Estlin, Tara; Jonsson, Ari; Pasareanu, Carina; Simmons, Reid; Tso, Kam; Verma, Vandi. "Plan Execution Interchange Language (PLEXIL)" (PDF). NASA Technical Reports Server. Retrieved 8 February 2019. ^ "Bibliography of PLEXIL-related publications, organized by category". Plexil souceforge. Retrieved 8 February 2019. ^ "Main page: NASA applications". PLEXIL sourceforge. Retrieved 8 February 2019. ^ Amos, Jonathan (August 3, 2012). "Gale Crater: Geological 'sweet shop' awaits Mars rover". BBC News. Retrieved August 6, 2012. ^ a b c "MSL Science Corner: Sample Analysis at Mars (SAM)". NASA/JPL. Retrieved September 9, 2009. ^ "Overview of the SAM instrument suite". NASA. Archived from the original on February 22, 2007. ^ Malin, M. C.; Bell, J. F.; Cameron, J.; Dietrich, W. E.; Edgett, K. S.; et al. (2005). The Mast Cameras and Mars Descent Imager (MARDI) for the 2009 Mars Science Laboratory (PDF). Lunar and Planetary Science XXXVI. p. 1214. Bibcode:2005LPI....36.1214M. ^ a b c d e "Mast Camera (MastCam)". NASA/JPL. Retrieved March 18, 2009. ^ a b c "Mars Hand Lens Imager (MAHLI)". NASA/JPL. Retrieved March 23, 2009. ^ a b c "Mars Descent Imager (MARDI)". NASA/JPL. Retrieved April 3, 2009. ^ a b c "Mars Science Laboratory (MSL): Mast Camera (MastCam): Instrument Description". Malin Space Science Systems. Retrieved April 19, 2009. ^ Stern, Alan; Green, Jim (November 8, 2007). "Mars Science Laboratory Instrumentation Announcement from Alan Stern and Jim Green, NASA Headquarters". SpaceRef.com. Retrieved August 6, 2012. ^ Mann, Adam (August 7, 2012). "The Photo-Geek's Guide to Curiosity Rover's 17 Cameras". Wired. Retrieved January 16, 2015. ^ Klinger, Dave (August 7, 2012). "Curiosity says good morning from Mars (and has busy days ahead)". Ars Technica. Retrieved January 16, 2015. ^ "Mars Science Laboratory (MSL) Mast Camera (MastCam)". Malin Space Science Systems. Retrieved August 6, 2012. ^ David, Leonard (March 28, 2011). "NASA Nixes 3-D Camera for Next Mars Rover". Space.com. Retrieved August 6, 2012. ^ a b c d "MSL Science Corner: Chemistry & Camera (ChemCam)". NASA/JPL. Retrieved September 9, 2009. ^ Salle, B.; Lacour, J. L.; Mauchien, P.; Fichet, P.; Maurice, S.; et al. (2006). "Comparative study of different methodologies for quantitative rock analysis by Laser-Induced Breakdown Spectroscopy in a simulated Martian atmosphere" (PDF). Spectrochimica Acta Part B-Atomic Spectroscopy. 61 (3): 301–313. Bibcode:2006AcSpe..61..301S. doi:10.1016/j.sab.2006.02.003. ^ Wiens, R.C. ; Maurice, S.; Engel, A; Fabry, V. J.; Hutchins, D. A.; et al. (2008). "Corrections and Clarifications, News of the Week". Science. 322 (5907): 1466. doi:10.1126/science.322.5907.1466a. PMC 1240923. ^ "ChemCam Status". Los Alamos National Laboratory. April 2008. ^ "Spacecraft: Surface Operations Configuration: Science Instruments: ChemCam". Archived from the original on October 2, 2006. ^ Vieru, Tudor (December 6, 2013). "Curiosity's Laser Reaches 100,000 Firings on Mars". Softpedia. Retrieved January 16, 2015. ^ "Rover's Laser Instrument Zaps First Martian Rock". 2012. Retrieved August 20, 2012. ^ Webster, Guy; Agle, D.C. (August 19, 2012). "Mars Science Laboratory/Curiosity Mission Status Report". NASA. Retrieved September 3, 2012. ^ "'Coronation' Rock on Mars". NASA. Retrieved September 3, 2012. ^ Amos, Jonathan (August 17, 2012). "Nasa's Curiosity rover prepares to zap Martian rocks". BBC News. Retrieved September 3, 2012. ^ "How Does ChemCam Work?". ChemCam Team. 2011. Retrieved August 20, 2012. ^ a b "Mars Science Laboratory Rover in the JPL Mars Yard". NASA/JPL. Retrieved May 10, 2009. ^ a b "Mars Science Laboratory: Mission: Rover: Eyes and Other Senses: Two Engineering NavCams (Navigation Cameras)". NASA/JPL. Retrieved April 4, 2009. ^ Gómez-Elvira, J.; Haberle, B.; Harri, A.; Martinez-Frias, J.; Renno, N.; Ramos, M.; Richardson, M.; de la Torre, M.; Alves, J.; Armiens, C.; Gómez, F.; Lepinette, A.; Mora, L.; Martín, J.; Martín-Torres, J.; Navarro, S.; Peinado, V.; Rodríguez-Manfredi, J. A.; Romeral, J.; Sebastián, E.; Torres, J.; Zorzano, M. P.; Urquí, R.; Moreno, J.; Serrano, J.; Castañer, L.; Jiménez, V.; Genzer, M.; Polko, J. (February 2011). "Rover Environmental Monitoring Station for MSL mission" (PDF). 4th International Workshop on the Mars Atmosphere: Modelling and Observations: 473. Bibcode:2011mamo.conf..473G. Retrieved August 6, 2012. ^ a b "MSL Science Corner: Rover Environmental Monitoring Station (REMS)". NASA/JPL. Retrieved September 9, 2009. ^ "Mars Science Laboratory Fact Sheet" (PDF). NASA/JPL. Retrieved June 20, 2011. ^ a b c d e "Mars Science Laboratory: Mission: Rover: Eyes and Other Senses: Four Engineering Hazcams (Hazard Avoidance Cameras)". NASA/JPL. Retrieved April 4, 2009. ^ Edgett, Kenneth S. "Mars Hand Lens Imager (MAHLI)". NASA. Retrieved January 11, 2012. 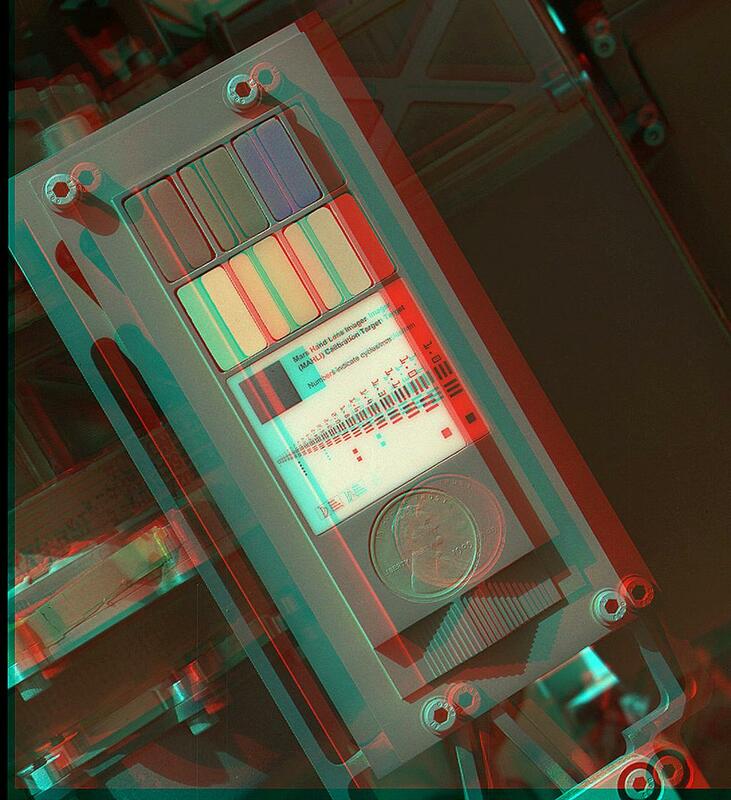 ^ "3D View of MAHLI Calibration Target". NASA. September 13, 2012. Retrieved October 11, 2012. ^ a b c "MSL Science Corner: Alpha Particle X-ray Spectrometer (APXS)". NASA/JPL. Retrieved September 9, 2009. ^ "40th Lunar and Planetary Science Conference" (PDF). 2009. "41st Lunar and Planetary Science Conference" (PDF). 2010. ^ Rieder, R.; Gellert, R.; Brückner, J.; Klingelhöfer, G.; Dreibus, G.; et al. (2003). "The new Athena alpha particle X-ray spectrometer for the Mars Exploration Rovers". Journal of Geophysical Research. 108 (E12): 8066. Bibcode:2003JGRE..108.8066R. doi:10.1029/2003JE002150. ^ a b Brown, Dwayne (October 30, 2012). "NASA Rover's First Soil Studies Help Fingerprint Martian Minerals". NASA. Retrieved October 31, 2012. ^ "MSL Chemistry & Mineralogy X-ray diffraction(CheMin)". NASA/JPL. Retrieved November 25, 2011. ^ Sarrazin, P.; Blake, D.; Feldman, S.; Chipera, S.; Vaniman, D.; et al. (2005). "Field deployment of a portable X-ray diffraction/X-ray fluorescence instrument on Mars analog terrain". Powder Diffraction. 20 (2): 128–133. Bibcode:2005PDiff..20..128S. doi:10.1154/1.1913719. ^ Hoover, Rachel (June 24, 2014). "Ames Instrument Helps Identify the First Habitable Environment on Mars, Wins Invention Award". NASA. Retrieved June 25, 2014. ^ Anderson, Robert C.; Baker, Charles J.; Barry, Robert; Blake, David F.; Conrad, Pamela; et al. (December 14, 2010). "Mars Science Laboratory Participating Scientists Program Proposal Information Package" (PDF). NASA/Jet Propulsion Laboratory. Retrieved January 16, 2015. ^ Beegle, L. W.; Peters, G. H.; Mungas, G. S.; Bearman, G. H.; Smith, J. A.; et al. (2007). "Mojave Martian Simulant: A New Martian Soil Simulant" (PDF). Lunar and Planetary Science Conference (1338): 2005. Bibcode:2007LPI....38.2005B. Retrieved April 28, 2014. ^ Cabane, M.; Coll, P.; Szopa, C.; Israël, G.; Raulin, F.; et al. (2004). "Did life exist on Mars? Search for organic and inorganic signatures, one of the goals for "SAM" (sample analysis at Mars)" (PDF). Advances in Space Research. 33 (12): 2240–2245. Bibcode:2004AdSpR..33.2240C. doi:10.1016/S0273-1177(03)00523-4. ^ a b "Sample Analysis at Mars (SAM) Instrument Suite". NASA. October 2008. Archived from the original on October 7, 2008. Retrieved October 9, 2009. ^ Tenenbaum, D. (June 9, 2008). "Making Sense of Mars Methane". Astrobiology Magazine. Retrieved October 8, 2008. ^ Tarsitano, C. G.; Webster, C. R. (2007). "Multilaser Herriott cell for planetary tunable laser spectrometers". Applied Optics. 46 (28): 6923–6935. Bibcode:2007ApOpt..46.6923T. doi:10.1364/AO.46.006923. PMID 17906720. ^ Mahaffy, Paul R.; Webster, Christopher R.; Cabane, Michel; Conrad, Pamela G.; Coll, Patrice; et al. (2012). "The Sample Analysis at Mars Investigation and Instrument Suite". Space Science Reviews. 170 (1–4): 401–478. Bibcode:2012SSRv..tmp...23M. doi:10.1007/s11214-012-9879-z. ^ Moskowitz, Clara (January 7, 2013). "NASA's Curiosity Rover Brushes Mars Rock Clean, a First". Space.com. Retrieved January 16, 2015. ^ a b "SwRI Radiation Assessment Detector (RAD) Homepage". Southwest Research Institute. Retrieved January 19, 2011. ^ "Laboratory for Space Gamma Spectroscopy - DAN". Laboratory for Space Gamma Spectroscopy. Archived from the original on May 21, 2013. Retrieved September 20, 2012. ^ "MSL Science Corner: Dynamic Albedo of Neutrons (DAN)". NASA/JPL. Retrieved September 9, 2009. ^ Litvak, M. L.; Mitrofanov, I. G.; Barmakov, Yu. N.; Behar, A.; Bitulev, A.; et al. (2008). "The Dynamic Albedo of Neutrons (DAN) Experiment for NASA's 2009 Mars Science Laboratory". Astrobiology. 8 (3): 605–12. Bibcode:2008AsBio...8..605L. doi:10.1089/ast.2007.0157. PMID 18598140. ^ "Mars Science Laboratory: Mission". NASA JPL. Retrieved August 6, 2012. ^ "Mars Descent Imager (MARDI) Update". Malin Space Science Systems. November 12, 2007. Retrieved August 6, 2012. ^ "Junocam, Juno Jupiter Orbiter". Malin Space Science Systems. Retrieved August 6, 2012. ^ Anderson, Paul Scott (February 3, 2013). "Curiosity 'hammers' a rock and completes first drilling tests". themeridianijournal.com. Archived from the original on February 6, 2013. Retrieved February 3, 2013. ^ a b "Curiosity Rover - Arm and Hand". JPL. NASA. Retrieved August 21, 2012. ^ a b c Jandura, Louise. "Mars Science Laboratory Sample Acquisition, Sample Processing and Handling: Subsystem Design and Test Challenges" (PDF). JPL. NASA. Retrieved August 21, 2012. ^ a b "Curiosity Stretches its Arm". JPL. NASA. August 21, 2012. Retrieved August 21, 2012. ^ Billing, Rius; Fleischner, Richard. "Mars Science Laboratory Robotic Arm" (PDF). MDA US Systems. Archived from the original (PDF) on October 6, 2016. Retrieved January 22, 2017. ^ a b "MSL Participating Scientists Program - Proposal Information Package" (PDF). Washington University. December 14, 2010. Retrieved August 21, 2012. ^ Billing, Rius; Fleischner, Richard (2011). "Mars Science Laboratory Robotic Arm" (PDF). 15th European Space Mechanisms and Tribology Symposium 2011. Retrieved August 21, 2012. ^ a b Clark, Stephen (December 29, 2016). "Internal debris may be causing problem with Mars rover's drill". Spaceflight Now. Retrieved January 22, 2017. ^ "NASA Is Trying to Get Mars Rover Curiosity's Arm Unstuck". Popular Mechanics. Associated Press. December 13, 2016. Retrieved January 18, 2017. ^ Wall, Mike (December 15, 2016). "Drill Issue Continues to Afflict Mars Rover Curiosity". Space.com. Retrieved February 10, 2018. ^ "Sols 1545-1547: Moving again!". NASA Mars Rover Curiosity: Mission Updates. NASA. December 9, 2016. ^ Lakdawalla, Emily (September 6, 2017). "Curiosity's balky drill: The problem and solutions". The Planetary Society. Retrieved February 10, 2018. ^ "Mars Exploration Rover Launches" (PDF). NASA. June 2003. Archived (PDF) from the original on July 26, 2004. ^ a b "Watching Curiosity on Mars makes me feel like athlete who didn't win a medal". The Sun. August 8, 2012. ^ Clark, Stuart (January 17, 2015). "Beagle 2 spacecraft found intact on surface of Mars after 11 years". The Guardian. Retrieved January 18, 2015. ^ Gibson, E. K.; Pillinger, C. T.; Wright, I. P.; Hurst, S. J.; Richter, L.; et al. (2012). "How do you answer the life on Mars question? Use multiple small landers like Beagle 2" (PDF). Concepts and Approaches for Mars Exploration. ^ a b Brown, Dwayne C.; Buis, Alan; Martinez, Carolina (May 27, 2009). "NASA Selects Student's Entry as New Mars Rover Name". NASA / Jet Propulsion Laboratory. Retrieved January 2, 2017. ^ "Curiosity's Quad - IMAGE". NASA. August 10, 2012. Retrieved August 11, 2012. ^ Agle, DC; Webster, Guy; Brown, Dwayne (August 9, 2012). 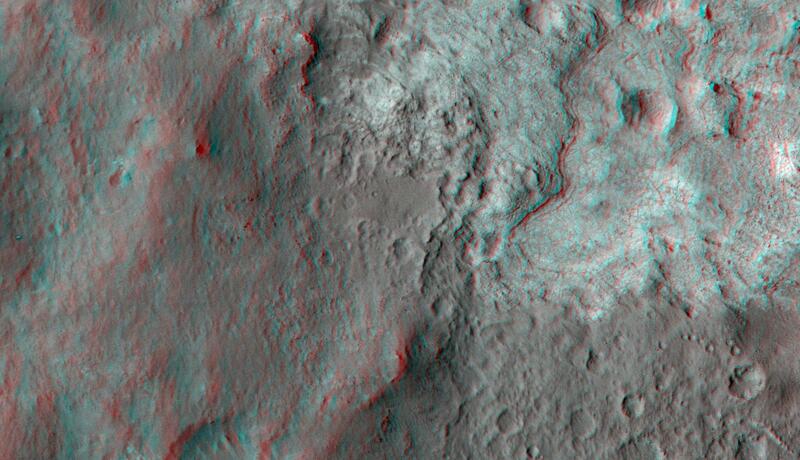 "NASA's Curiosity Beams Back a Color 360 of Gale Crate". NASA. Retrieved August 11, 2012. ^ Amos, Jonathan (August 9, 2012). "Mars rover makes first colour panorama". BBC News. Retrieved August 9, 2012. ^ Halvorson, Todd (August 9, 2012). "Quad 51: Name of Mars base evokes rich parallels on Earth". USA Today. Retrieved August 12, 2012. ^ Hand, Eric (August 3, 2012). "Crater mound a prize and puzzle for Mars rover". Nature. doi:10.1038/nature.2012.11122. Retrieved August 6, 2012. ^ "Gale Crater's History Book". Mars Odyssey THEMIS. Retrieved August 6, 2012. ^ Chang, Kenneth (October 5, 2015). "Mars Is Pretty Clean. Her Job at NASA Is to Keep It That Way". The New York Times. Retrieved October 6, 2015. ^ "Why NASA's Mars Curiosity Rover landing will be "Seven Minutes of Absolute Terror"". NASA. Centre National d'Etudes Spatiales (CNES). June 28, 2012. Retrieved July 13, 2012. ^ "Final Minutes of Curiosity's Arrival at Mars". NASA/JPL. Retrieved April 8, 2011. ^ Teitel, Amy Shira (November 28, 2011). "Sky Crane – how to land Curiosity on the surface of Mars". Scientific American. Retrieved August 6, 2012. ^ Snider, Mike (July 17, 2012). "Mars rover lands on Xbox Live". USA Today. Retrieved July 27, 2012. ^ "Mars Science Laboratory: Entry, Descent, and Landing System Performance" (PDF). NASA. March 2006. p. 7. ^ Amos, Jonathan (June 12, 2012). "NASA's Curiosity rover targets smaller landing zone". BBC News. Retrieved June 12, 2012. ^ a b Chang, Kenneth (August 13, 2012). "Mars Looks Quite Familiar, if Only on the Surface". New York Times. Retrieved August 14, 2012. ^ "Curiosity Lands on Mars". NASA TV. Archived from the original on August 6, 2012. Retrieved August 6, 2012. ^ "NASA's Mars Rover Crashed Into a DMCA Takedown". Motherboard. Motherboard.vice.com. August 6, 2012. Archived from the original on August 8, 2012. Retrieved August 8, 2012. ^ "Huge Crowds Watched NASA Rover Land on Mars from NYC's Times Square". Space.com. Retrieved August 8, 2012. ^ "Mars Rover 'Mohawk Guy' a Space Age Internet Sensation | Curiosity Rover". Space.com. August 7, 2012. Retrieved August 8, 2012. ^ "Mars landing proves memes now travel faster than the speed of light (gallery)". VentureBeat. June 18, 2012. Retrieved August 8, 2012. ^ Boyer, Brad (March 10, 2011). "inXitu co-founder wins NASA Invention of the Year Award for 2010" (PDF) (Press release). InXitu. Archived from the original (PDF) on August 3, 2012. Retrieved August 13, 2012. ^ "Martian rover tech has an eye for priceless works of art". August 10, 2012. Retrieved August 13, 2012. ^ Thomen, Daryl (August 6, 2012). "'Mars Rover Landing' with Kinect for the Xbox 360". Newsday. Retrieved August 8, 2012. ^ "Send Your Name to Mars". NASA. 2010. Retrieved August 7, 2012. ^ "NASA's Curiosity rover flying to Mars with Obama's, others' autographs on board". Retrieved August 11, 2012. ^ Dewey, Caitlin (August 6, 2013). "Lonely Curiosity rover sings 'Happy Birthday' to itself on Mars". Washington Post. Retrieved August 7, 2013. ^ Webster, Guy; Brown, Dwayne (June 23, 2014). "NASA's Mars Curiosity Rover Marks First Martian Year". NASA. Retrieved June 23, 2014. ^ Harwood, William (December 4, 2012). "NASA announces plans for new $1.5 billion Mars rover". CNET. Retrieved December 5, 2012. Using spare parts and mission plans developed for NASA's Curiosity Mars rover, the space agency says it can build and launch a new rover in 2020 and stay within current budget guidelines. ^ ten Kate, Inge Loes (June 8, 2018). "Organic molecules on Mars". Science. 360 (6393): 1068–1069. Bibcode:2018Sci...360.1068T. doi:10.1126/science.aat2662. PMID 29880670. ^ Eigenbrode, Jennifer L.; et al. (June 8, 2018). "Organic matter preserved in 3-billion-year-old mudstones at Gale crater, Mars". Science. 360 (6393): 1096–1101. Bibcode:2018Sci...360.1096E. doi:10.1126/science.aas9185. PMID 29880683. ^ Bosco, Cassandro (March 12, 2013). "NASA/JPL Mars Curiosity Project Team Receive 2012 Robert J. Collier Trophy" (PDF). National Aeronautic Association. Archived from the original (PDF) on February 23, 2014. Retrieved February 9, 2014. ^ a b Williams, John (August 15, 2012). "A 360-degree 'street view' from Mars". PhysOrg. Retrieved August 16, 2012. ^ Bodrov, Andrew (September 14, 2012).  "Mars Panorama - Curiosity rover: Martian solar day 2". 360Cities. Retrieved September 14, 2012.